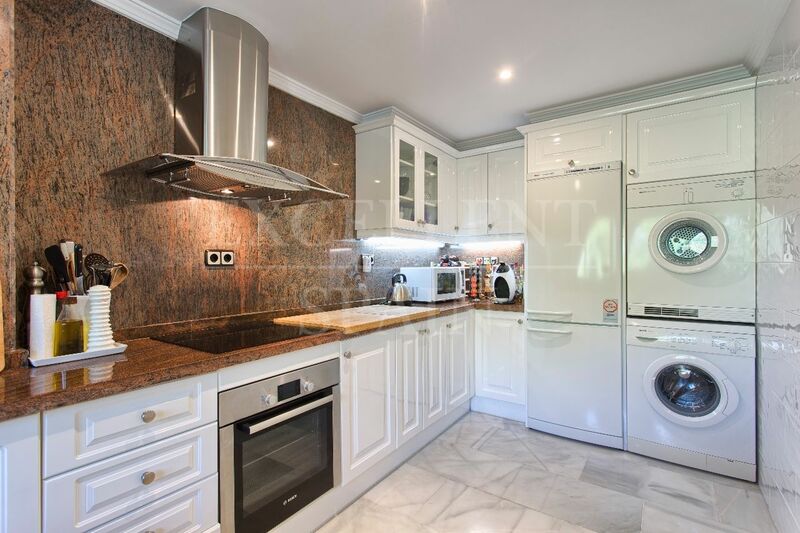 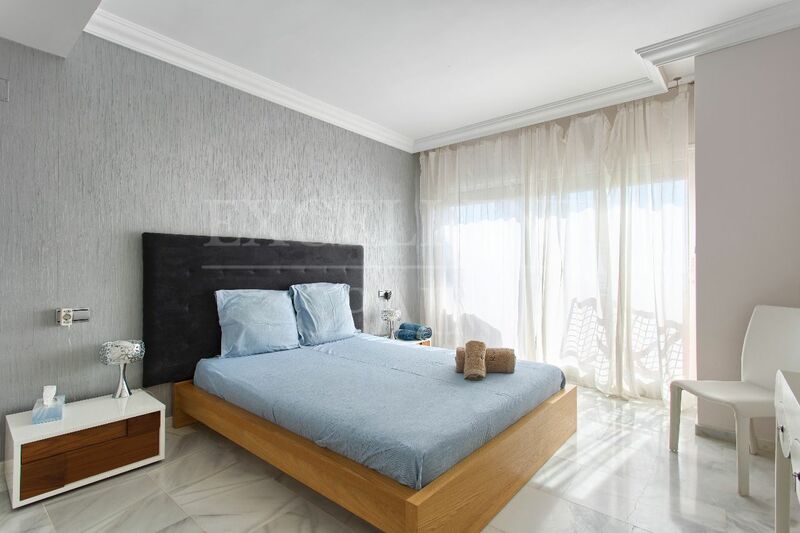 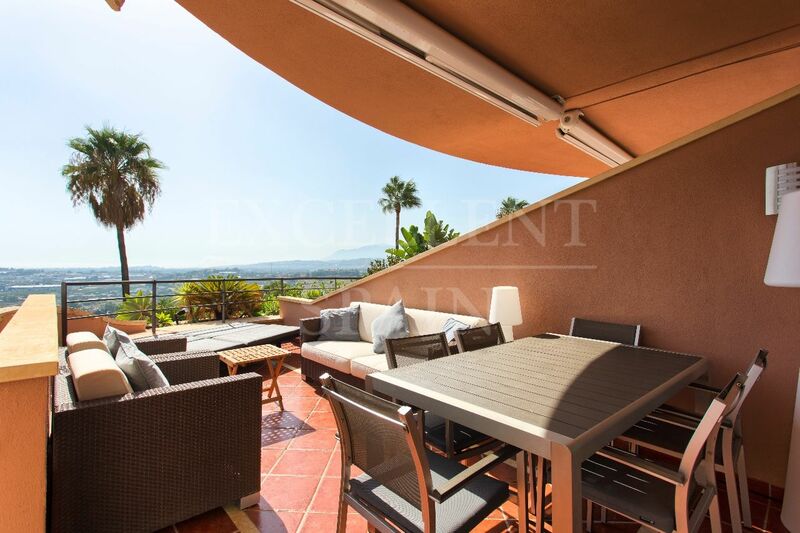 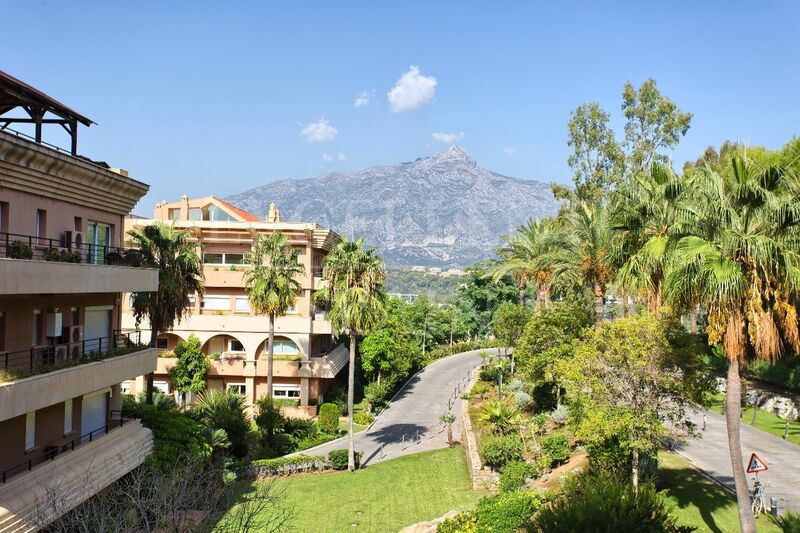 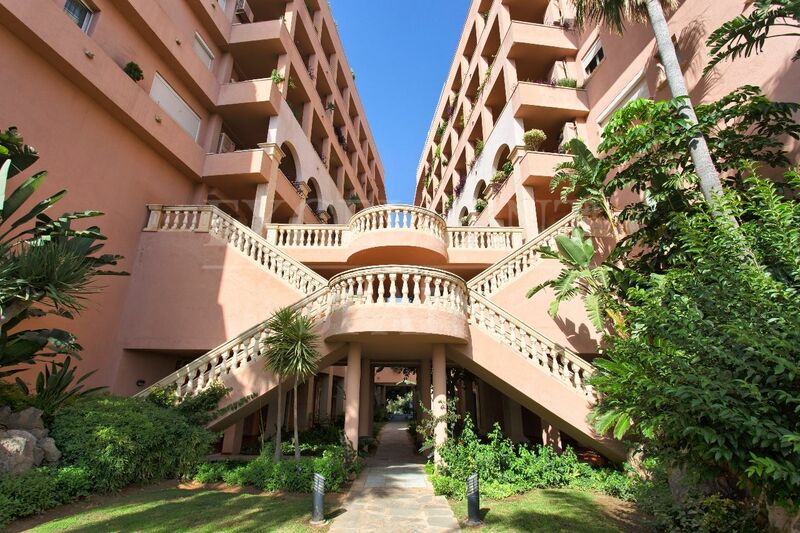 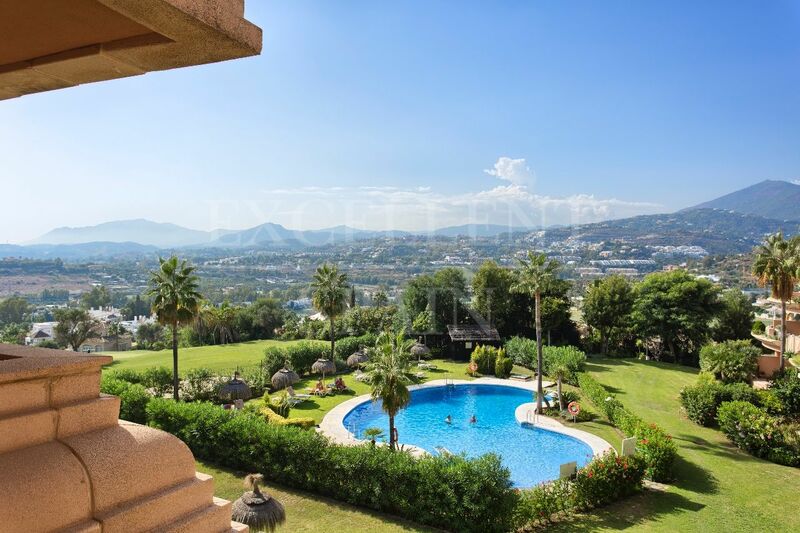 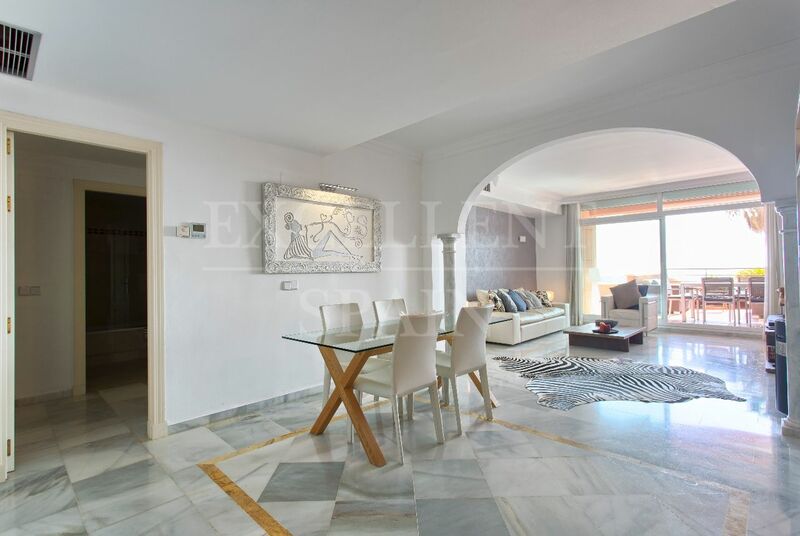 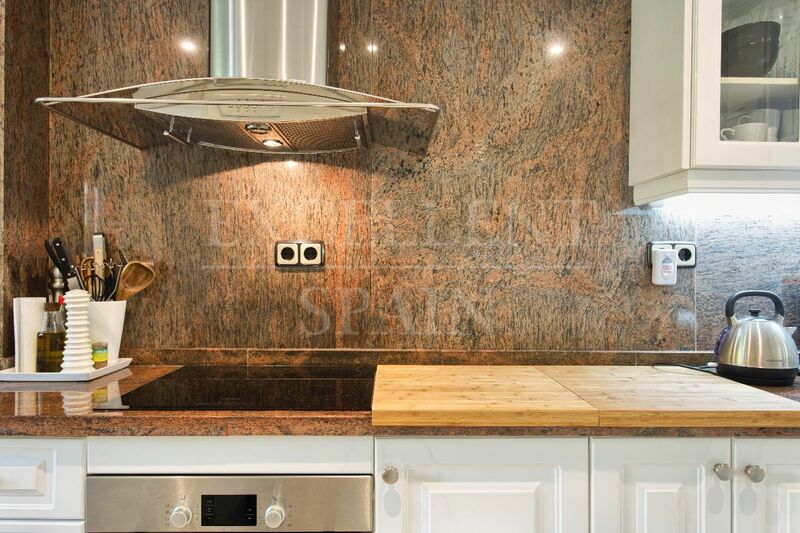 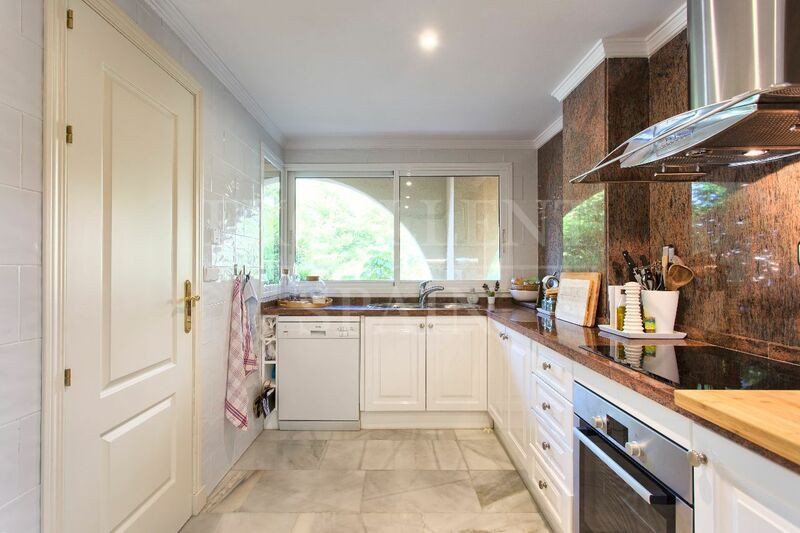 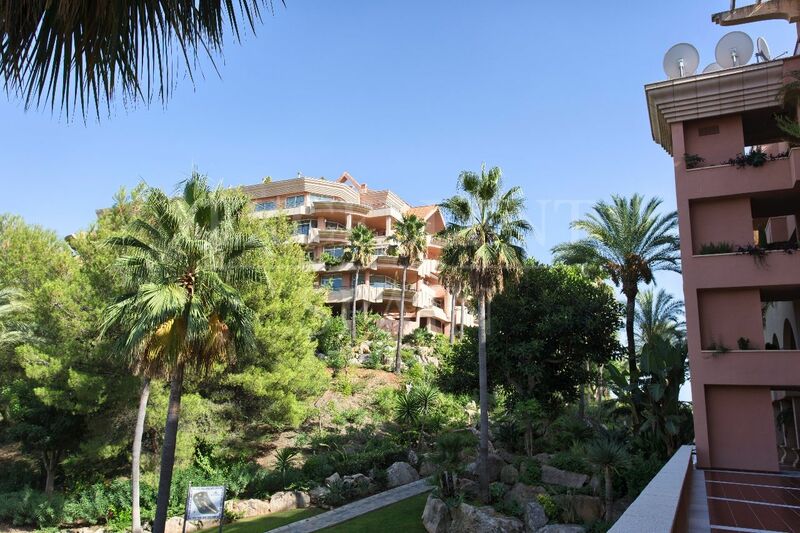 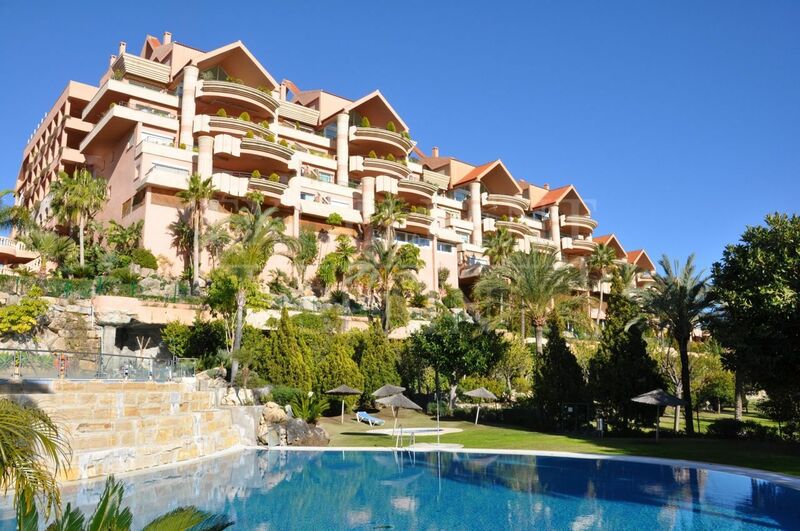 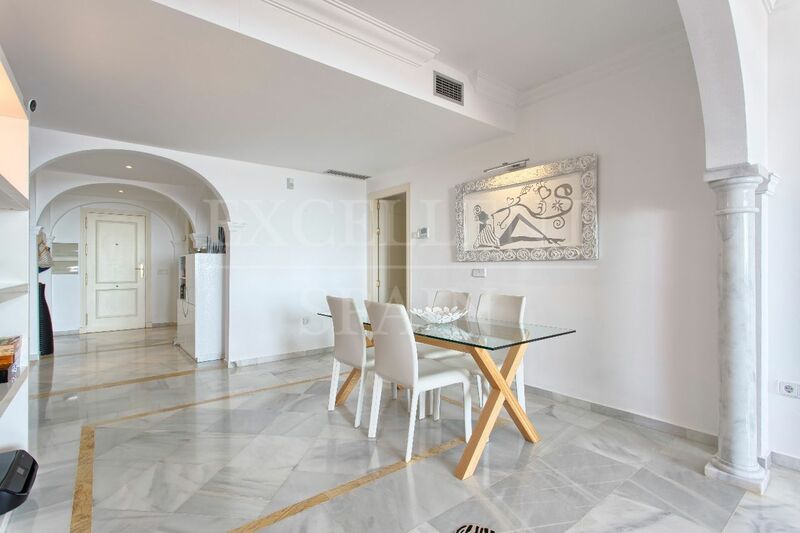 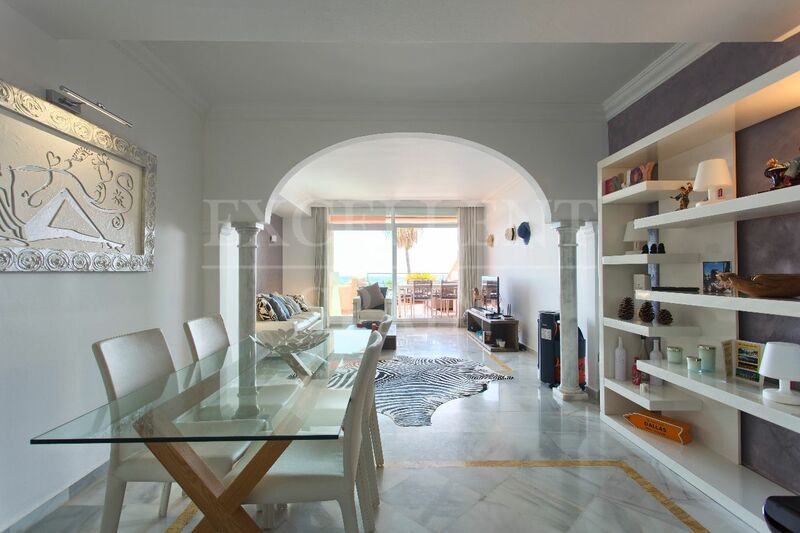 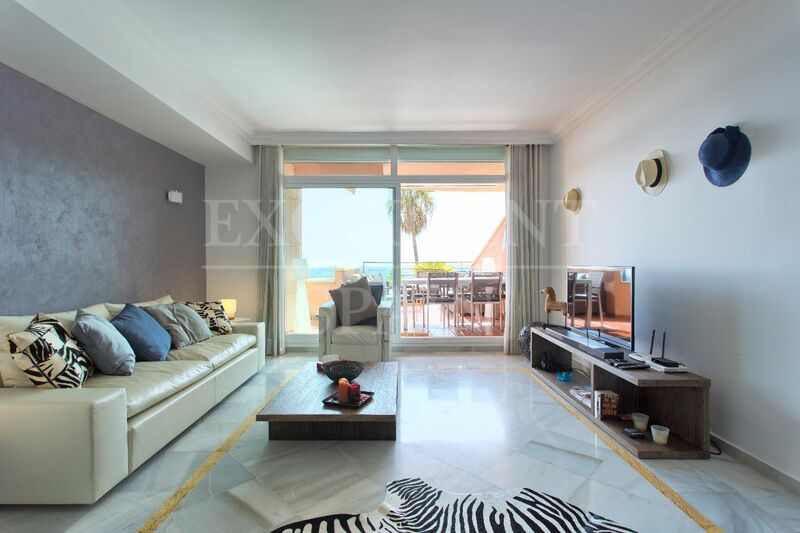 Spacious apartment in the prestigieus gated urbanization of Magna Marbella at a short drive to Puerto Banus and Marbella centre. 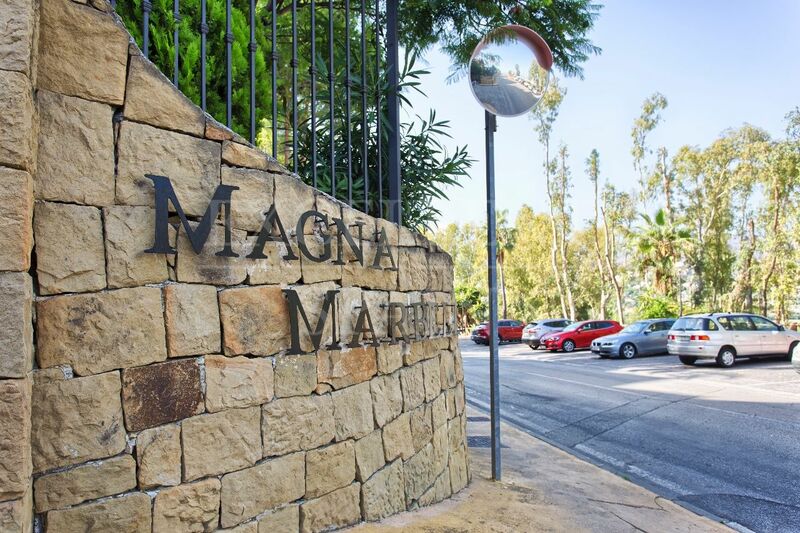 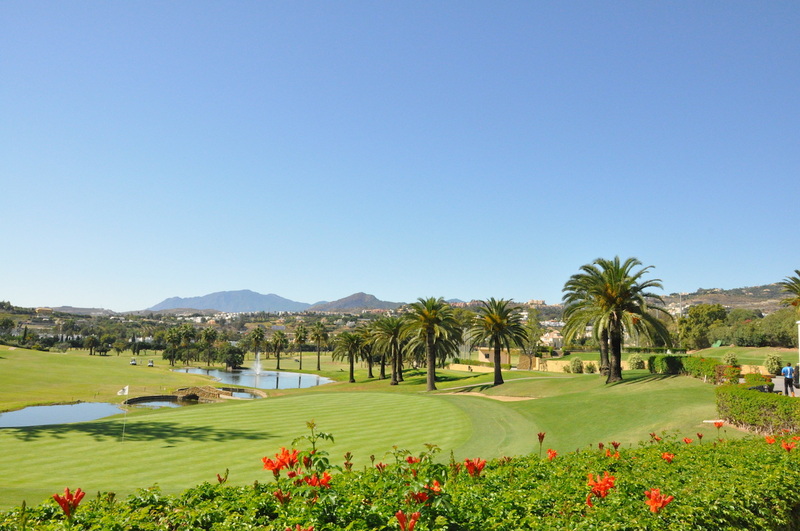 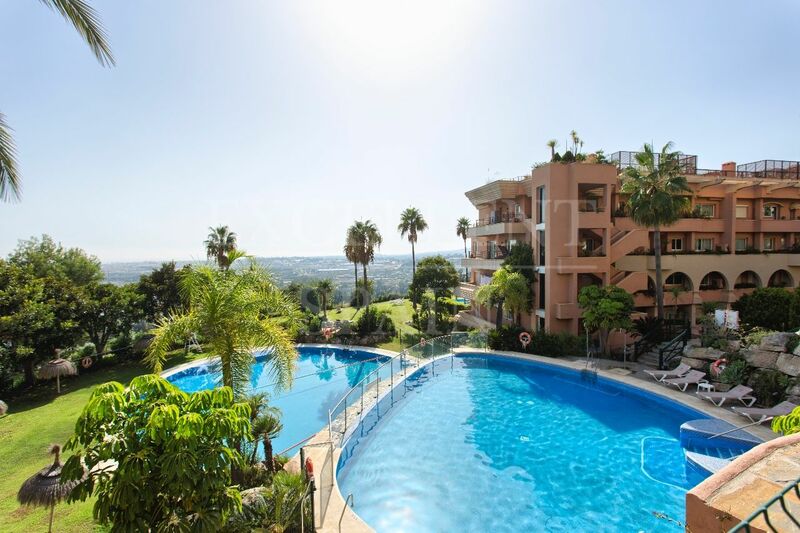 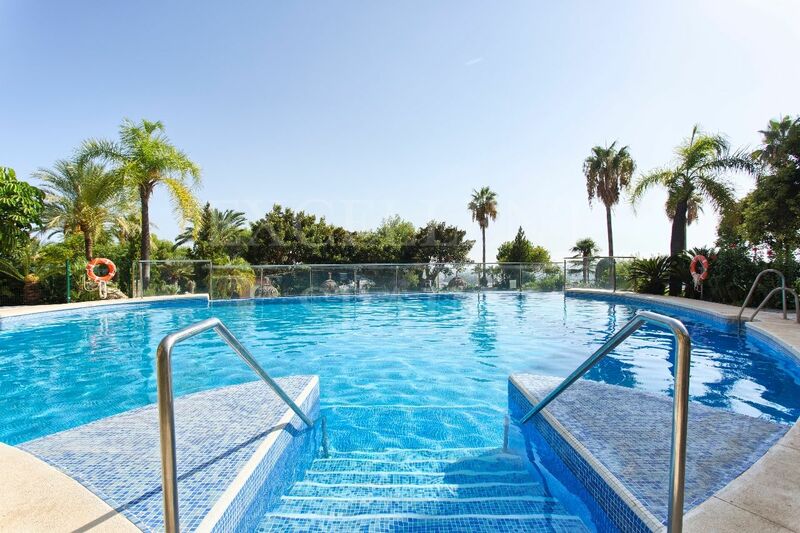 Magna Marbella is located on a hill top and offers several large communal swimming pools, 24-hour security and an on-site golf course with restaurant. 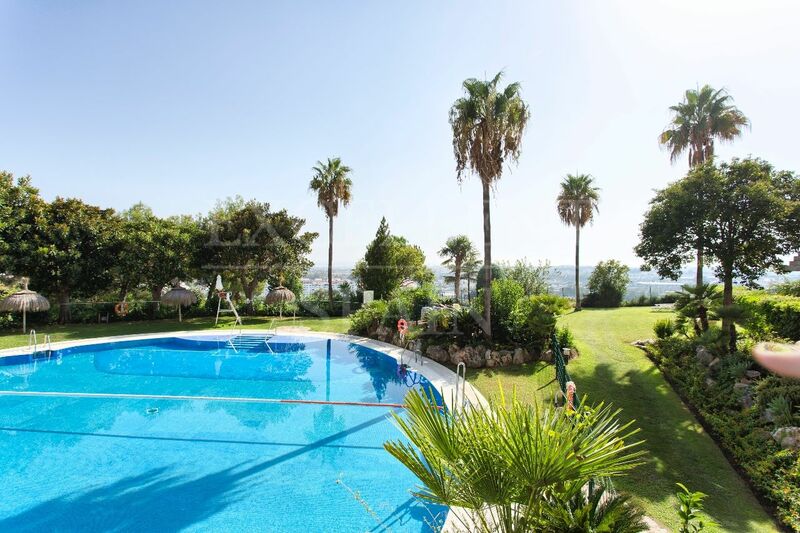 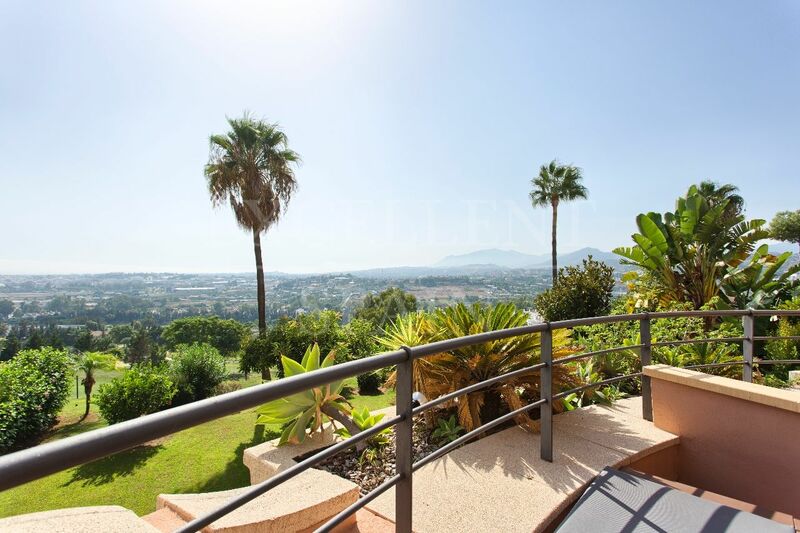 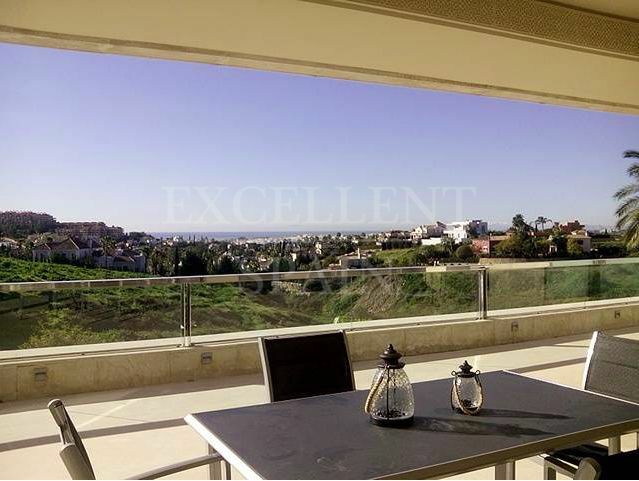 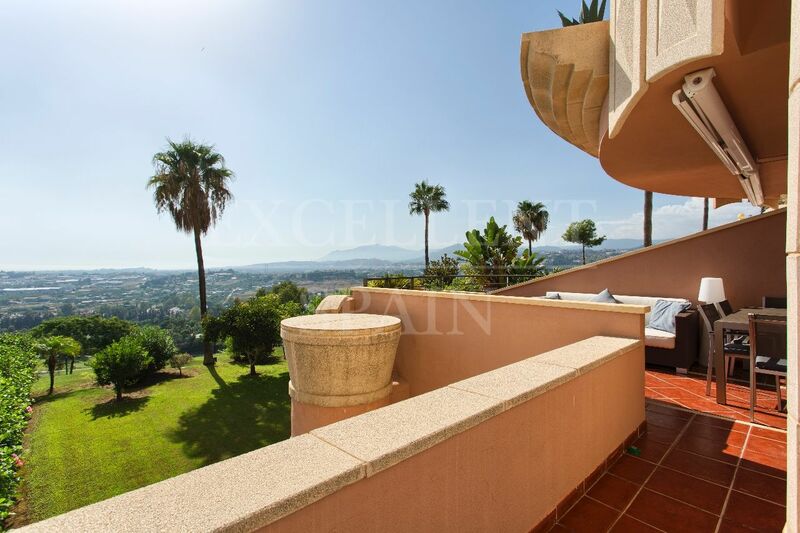 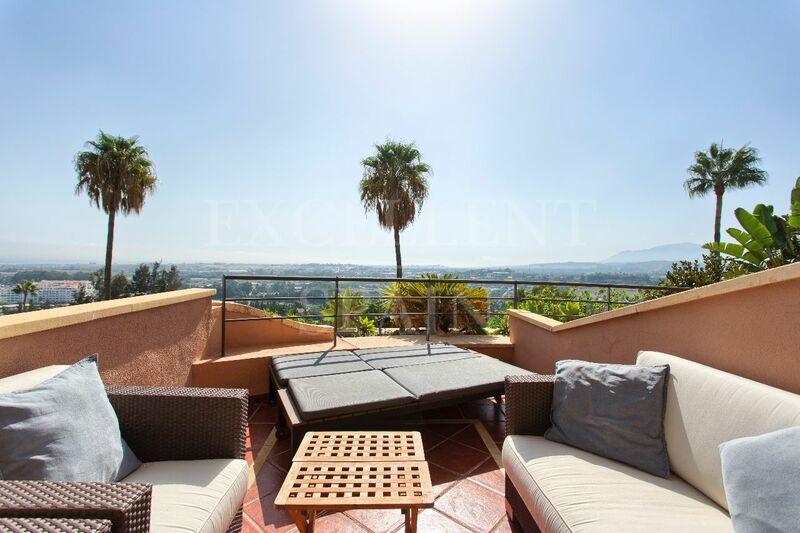 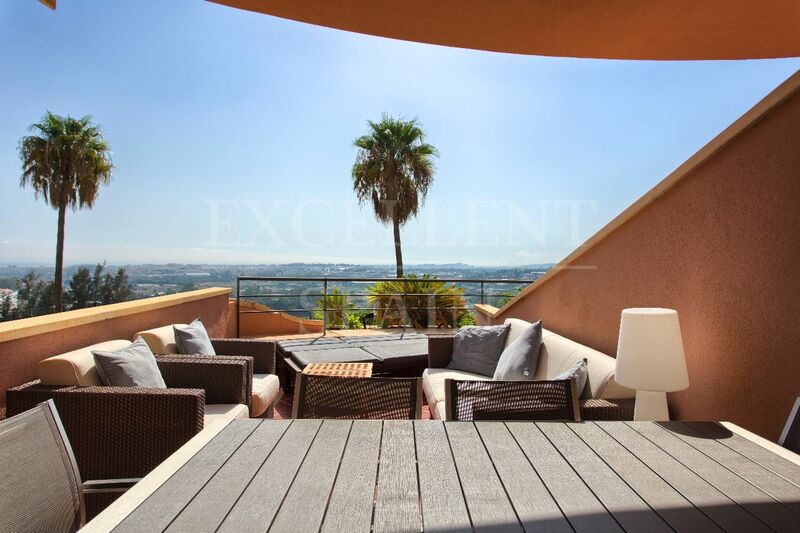 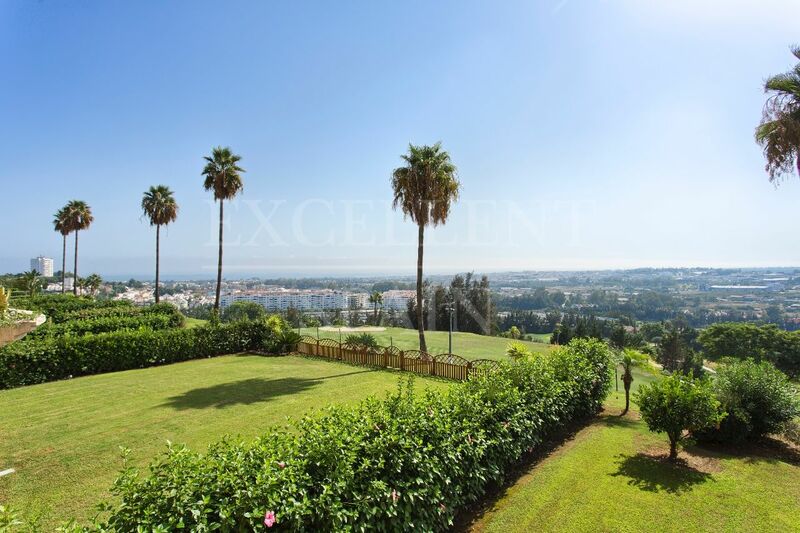 The apartment has great views towards the sea and Africa and Gibraltar in the far distance. 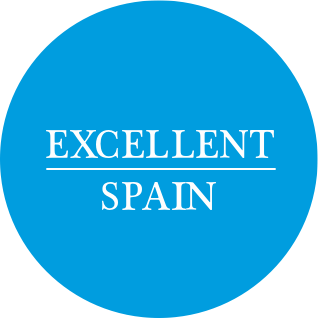 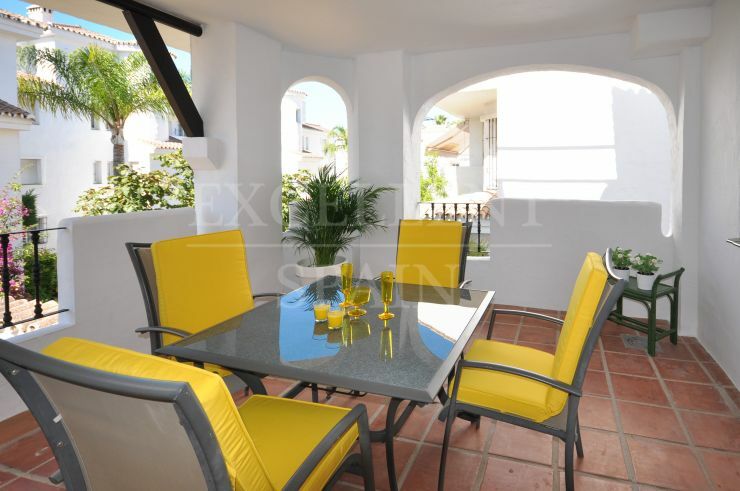 The property consists of an entrance, living room with dining area, fully fitted kitchen, master bedroom with en-suite bathroom, second bedroom with en-suite bathroom, guest toilet and a terrace. 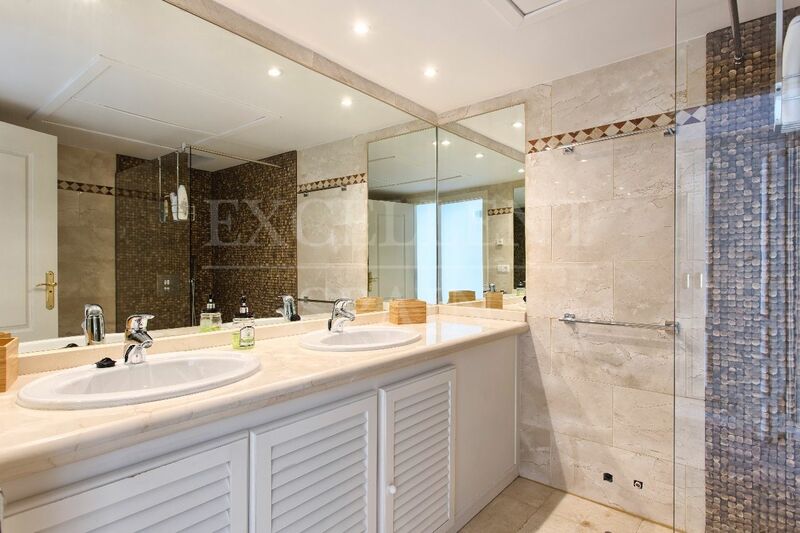 The property has underfloor heating and hot and cold airconditioning and comes with parking and storage in the underground garage. 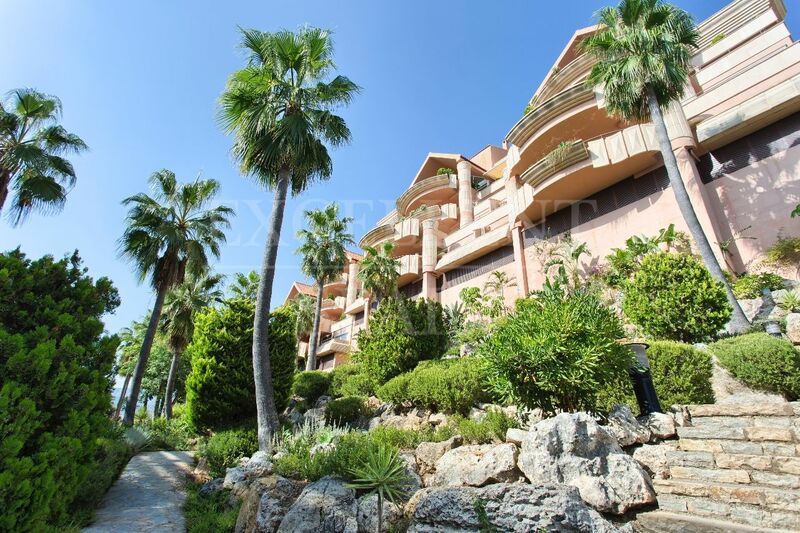 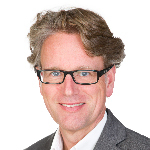 Yes, I am interested in ref 222-01547P, or similar, please contact me.